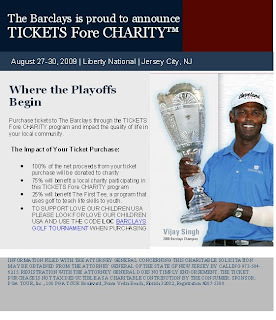 If you love golf and are passionate about keeping children safe, please support Love Our Children USA by purchasing tickets to the Barclays Golf Tournament at Liberty National Center, Jersey City, NJ from August 27th – August 30th. See your favorite pros! All you need to do is purchase tickets is click here and use the code LOC !